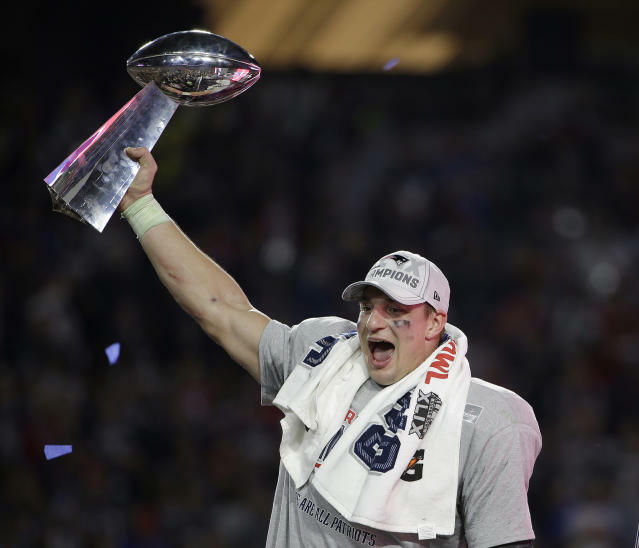 BOSTON (AP) — The party's over for Rob Gronkowski. Then again, it might just be getting started. The New England Patriots' fun-loving, touchdown-spiking tight end announced Sunday that he is retiring from the NFL after nine mostly dominant, Super Bowl-filled seasons. The four-time All-Pro posted his decision on Instagram , saying that a few months shy of his 30th birthday "it's time to move forward and move forward with a big smile." "It all started at 20 years old on stage at the NFL draft when my dream came true, and now here I am about to turn 30 in a few months with a decision I feel is the biggest of my life so far," Gronkowski wrote in his post. "I will be retiring from the game of football today." Drew Rosenhaus, Gronkowski's agent, confirmed his client's decision to retire. 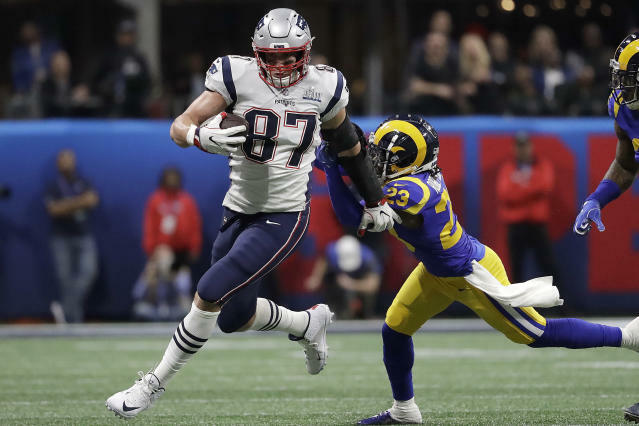 The playmaking tight end, who turns 30 in May, leaves as a three-time Super Bowl champion who established himself as one of the most dominant players at his position and one of Tom Brady's favorite targets. His personality — on and off the field — was as big as his biceps, and he always seemed to be the life of the party. "In the nine years that I have known Rob Gronkowski, I have never known him to have a bad day," Patriots owner Robert Kraft said in a statement. "He always has a youthful exuberance about him and is a joy to be around. It led him to hint at retirement following New England's Super Bowl loss to the Philadelphia Eagles to end the 2017 season and again last month after the Patriots' Super Bowl win over the Los Angeles Rams. 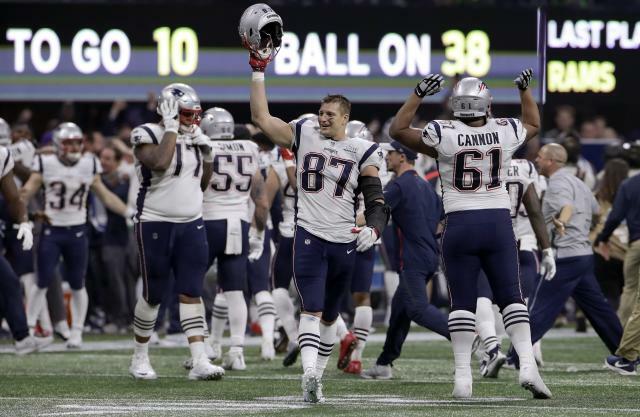 In his Instagram post, Gronkowski thanked the Patriots organization, coach Bill Belichick and New England's fans for their support during his nine NFL seasons. "Thank you for everyone accepting who I am and the dedication I have put into my work to be the best player I could be," Gronkowski wrote. "His production spoke for itself, but his daily attitude, unmistakably positive energy wherever he went and toward whoever he touched will never be forgotten," Belichick said in a statement. 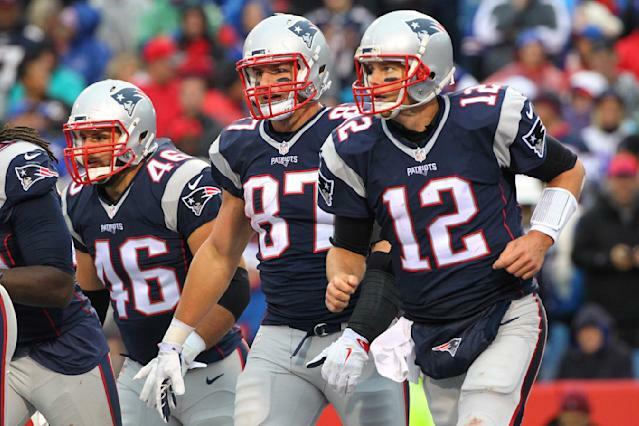 Gronkowski's teammates also almost immediately began to flood social media with well-wishes. "Love you man!!" Brady wrote on Instagram, along with an emoji of a goat to refer to Gronkowski as the greatest of all-time. "Couldn't be a better person or teammate!!!!" "The other goat," Edelman posted on his Instagram page, also referring to Brady. Though he won't have the longevity of some of his contemporaries at tight end, Gronkowski is expected to get strong consideration for the Pro Football Hall of Fame when eligible. But at times he looked like a shell of himself during the Patriots' Super Bowl run this past season. Gronkowski finished the 2018 regular season with just 47 catches for 682 yards and three touchdowns. 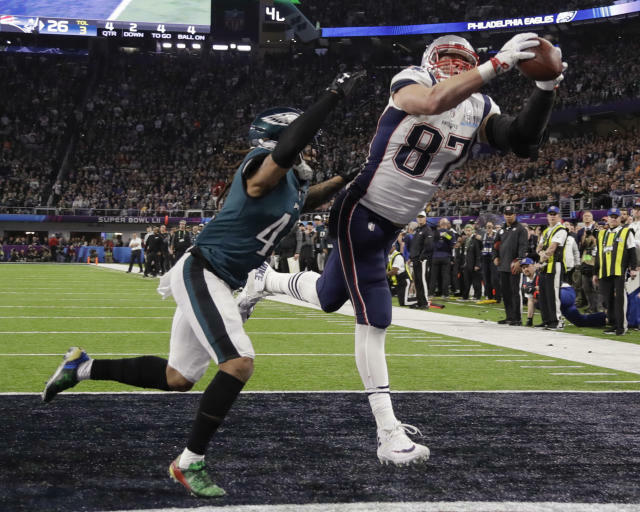 He had one of his best games of the season in the Patriots' Super Bowl win over the Rams, hauling in six catches for 87 yards, including two receptions on New England's only touchdown drive during their 13-3 victory. He'll also retire with 79 career TD catches — regular season and playoffs — which is third all-time by a tight end behind only Antonio Gates (116) and Tony Gonzalez (111). "Rob will leave an indelible mark on the Patriots organization and the game," Brady said, "as among the best, most complete players at his position to ever play."